eys, cufflinks, rings, watches (although we’d recommend keeping yours in fine style in a purpose-made watchwinder), tie clips, colognes, diaries, spectacles, luxury stationery – the detritus of a truly dapper gentleman’s suave lifestyle deserves to be kept in exquisite style. This newcomer provides a very pleasingly contemporary way to sort out your clutter. Minimal and intelligently designed, this system is made up of numerous smaller modules which can be added or removes based on the type of gear you’re trying to clear. We love the sleek look and feel of this design, and its sheer versatility. 2. 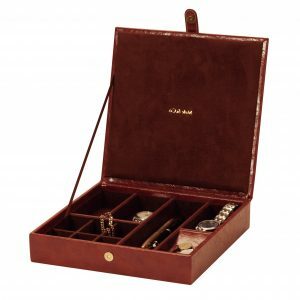 Tidy Tray, Aspinal of London In gorgeous brown crocodile leather and the softest stone-coloured suede, this is a very simple valet tray with a whole lot of class. For the gentleman with fewer bits and pieces, this stylish, understated try will sit usefully on dressers or bedsides. 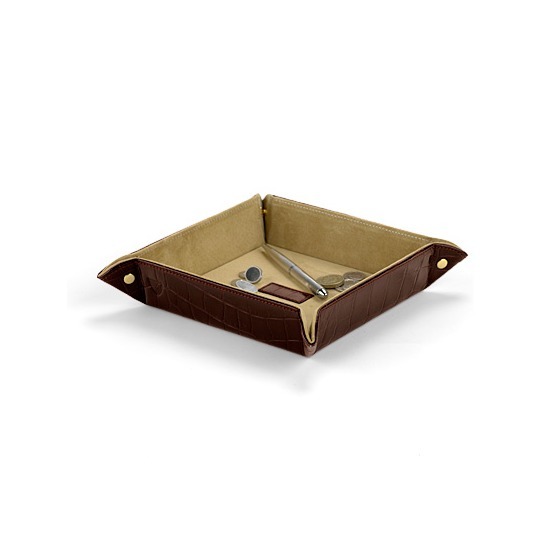 With plenty of compartments for all of your essentials, this vintage inspired organiser is portable with a push-close stud, ideal for gentlemen on the go who need to be able to pack up all their crucial items at a moments notice. Looking for something with a touch more modernity? 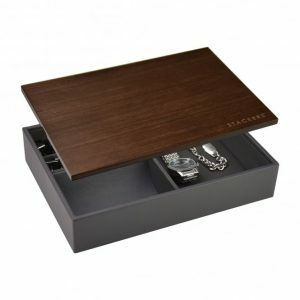 This sleek, charcoal coloured valet box with its contrasting rich wooden lid blends an old-fashioned accessory with modern styling to create a good looking piece which will come in very useful. 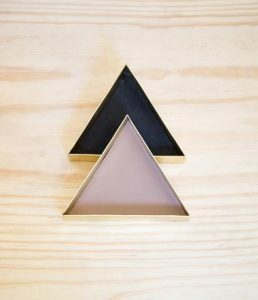 If you’re looking for something more modern still, how about these pleasingly geometric valet trays. 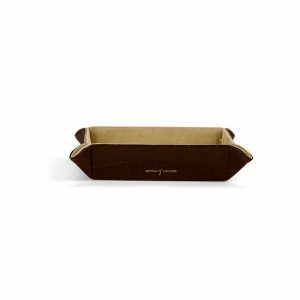 Hand-crafted from leather and brass in Uganda, using locally sourced and recycled materials, these handy trays look good in contemporary homes and do some good too. Do you use valet trays at home? Which everyday items do you lose most often? Share your stories and pick out your favourite trays in the comments section below.